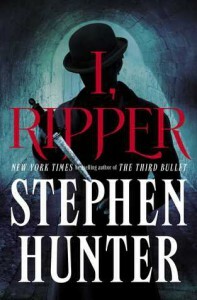 Approaching the nineteenth century’s most infamous serial killer in a unique and disquieting manner, Stephen Hunter’s “I, Ripper” pulls out all of the stops to create an incendiary tale of madness and mayhem. The story of those fatal 1888 months comes primarily from two perspectives: that of Jack the Ripper himself and that of a budding Irish journalist who becomes entwined in the killings. Both narrate in the first-person, Jack in diary entries as the events unfold and the journalist after twenty-four years have passed. Occasionally interjected between the two are letters from a prostitute named Mairsian. What results is an unsettling glimpse into London’s underworld and the various possibilities regarding how and why the murders unfolded. Hunter craftily utilizes dualism to achieve what Saucy Jack’s motivations and thought processes may have been as well as how the killings were perceived and even exploited by the news reporters of the day. As a result, this psychological thriller tends to be graphic and at times crude, particularly concerning Jack’s epistolary narrative, but the distinctive viewpoints also serve to shed fresh light on the details of the case, one that continues to shock and intrigue over a century later. And just like the events themselves, “I, Ripper” contains shocking twists and unsettling theories. I received a complimentary copy of this novel from The Reading Room in exchange for an honest review.